You might not have known this about America’s Dairyland, but on a yearly basis Wisconsin’s agricultural sector is actually outperformed by manufacturing across several metrics by a wide margin. Consider these quick facts. According to the US Census Bureau’s Annual Survey of Manufacturers for 2009, Wisconsin was tenth in the nation in terms of its total number of employees in the manufacturing sector, 11th in terms of annual manufacturing payroll, 10th in terms of manufacturing worker wages, 14th in terms of manufacturing capital expenditures and 13th in terms of total value of manufacturing shipments. And let’s remember: this is out of 50 states. That means that 74% of the country ranks behind Wisconsin in terms of the total value of their shipped manufactured products. Translation: Wisconsin is an important manufacturing state. Industry and Agriculture in Wisconsin. Wisconsin’s state motto, its sports teams and even its highway welcome signs all contribute to Wisconsin’s image as a major player in the dairy industry and in agriculture generally. But despite the state’s reputation as one of America’s agricultural centers, which is certainly not a misrepresentation, manufacturing is more important to Wisconsin’s economy in terms of its contribution to the state’s gross state product. And, despite the strength of Wisconsin’s long-standing dairyland branding, the state’s days as an industrial presence date back more than a century. Artist’s impression of Milwaukee in 1882. According to the Wisconsin Historical Society, Milwaukee had become an important center for the manufacture of finished products as early as the mid 19th century. These products were assembled from raw materials like furs, metals and lumber from the state’s less developed areas. Milwaukee’s forges and foundries were incorporated even before their more famous successors in Pennsylvania and Ohio. These strong industrial roots are connected to Wisconsin’s thriving industrial economy today. Wisconsin is currently host to over a dozen major manufacturers, including Johnson Controls, Rockwell Automation, the Kohler Company, Mercury Marine and Harley-Davidson. 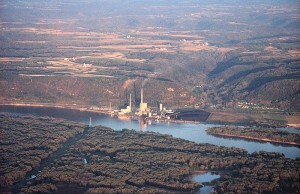 One of the largest concentrations of pulp and paper related industries can be found in Wisconsin’s Fox Valley area. It’s true that Wisconsin’s economic landscape hasn’t been without hazards in recent years. This past year saw some of the most bitter labor disputes in recent national memory, the aftershocks of which are still reverberating throughout state and even regional politics. As the nearness of national economic recovery continues to be far from certain, the possibility of other disruptions and conflicts looms large in Wisconsin. But observers and indeed investors should be careful not to loose sight of the bigger picture in Wisconsin and in the Midwest generally. Wisconsin, like its neighbors, continues to be a leading industrial presence despite the traumas of the economic crisis and other ensuing crises thereafter. The Census Bureau’s data from 2009, the year that played host to the deepest, most crushing depths of the financial crisis, reflects industry’s resilience and unwillingness to be subdued. If these trends are indicative of Wisconsin’s ability to resist economic downturn, then there is more evidence to support an optimistic outlook on Wisconsin’s economic prospects than there is to the contrary. Greyhill Advisors’s report on US States’ GDP for 2010 places Wisconsin’s gross state product at $248 billion, which was 21st in the country for that year. Again, remember how many states there are in the US! Look at these and similar figures for Wisconsin’s neighbors, and the analysts’ gloomy prognoses for Midwestern economies seem less credible. It’s true that Wisconsin and the rest of the Midwest have hurdles to cross before they can consider the recession and indeed the “Rust Belt” distinction behind them. Considering Wisconsin’s past success, it’s only a matter of time.